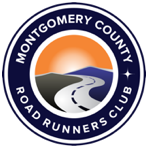 Home / Club News / Time Change for Saturday Rock Creek Trail Run! Time Change for Saturday Rock Creek Trail Run! It’s that time of year! Effective tomorrow, the start time for the Saturday Trail Runs on the Rock Creek Trail will move to 8:00 AM. We are working on getting all the calendar dates updated, so please be patient. The start time will remain at 8:00 AM through the end of April. Please see the event listing on our weekly workout calendar for more information.